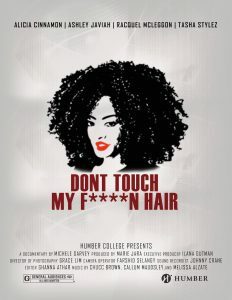 Don’t Touch My F****N Hair is a short documentary I worked on in my second year at Humber College. 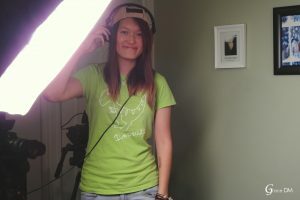 We were a crew of six, each member contributing their expertise in making a high quality, professional short documentary. I was responsible for multiple roles in the production of this short documentary: as the co-producer, director of photography, second camera operator, assistant picture editor, assistant visual effects editor, music & sound effects editor, and an assistant mixer. The making of this documentary helped me learn that documentary-making is more than just facts and data gathering or interviews. There are 1001 other aspects to it and it has broaden my knowledge and experience in so many ways. The story wasn’t set in stone and was expected to evolve around the interviewees. Working on this project had really expanded my perspectives about documentary-making that is much more than just doing interviews and talking heads. 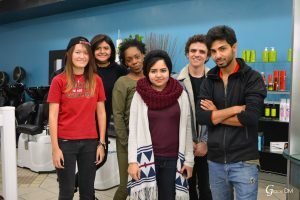 The process had been pleasantly challenging, despite many sleepless nights of having to ensure everything will run smoothly. Of course there were many glitches here and there, but I’m really proud of the final product. From this, I have also learned the true meaning of team-playing and that every member and every position is important to making the film happen. Don’t Touch My F****N Hair was screened at Hot Docs Ted Rogers Cinema, Toronto. See more behind the scenes of Don’t Touch My F****N Hair.